Surreal experience. The scenery is lovely, remote, quiet, picturesque. 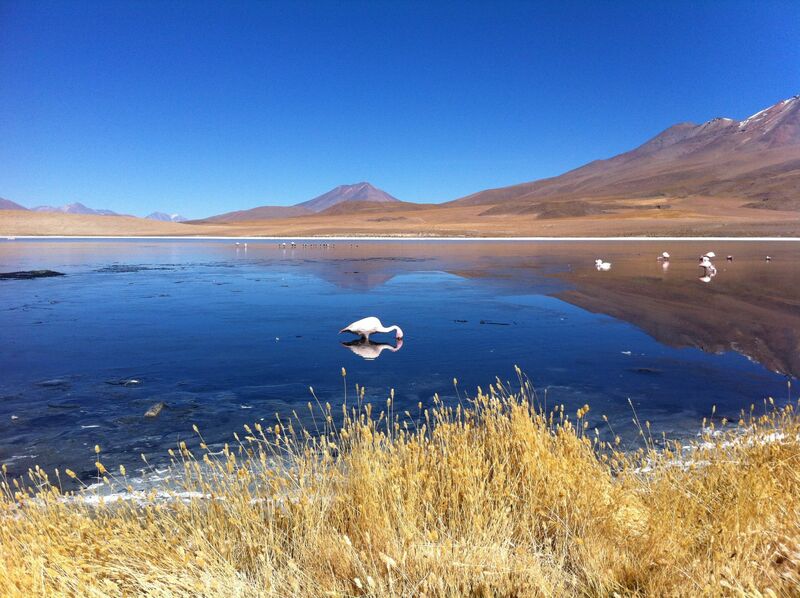 With mountains in the background, reflections, pink flamingos and unique colours, this lake is a great photo stop. Situated in the Avaroa National Park, this attraction was part of a 3 days/2 nights tour from Uyuni to San Pedro. I wouldn't recommend visiting this desolate part of Bolivia on your own.